Sydney was so moved by my sermon from Ephesians 6:10-18 yesterday that she sent me the link to this. Wow. Last May I wrote about our home in Indiana being back on the market. Turns out we are going to be selling it yet again. Unfortunately the nice couple that had purchased it last year are going to be moving out. I say, "unfortunately" because these are some really good folks that we have been blessed to have in our house. Be that as it may, we now need to sell our house again. The land contract details of price, down payment and monthly payment are being ironed out right now. But if you know someone that wants a really nice home with a lot of updates on a great little corner in a nice small town, have them get in touch with me. You can email me by clicking on the link in the column to the right. In the meantime, enjoy the photos of our "southern home" here below. And, feel free to pass them along to anyone that you know might want to purchase our home. The front of our home. 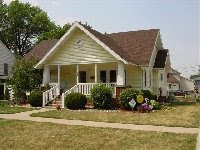 New windows, doors, siding and roof in 2004. The kitchen was all new in 2004, too. 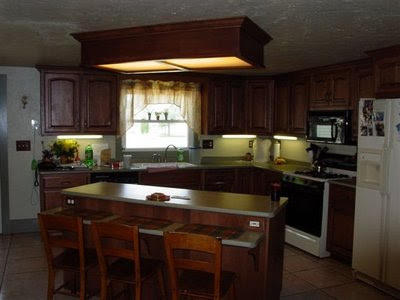 Custom maple cabinets, center island and ceramic tile flooring. 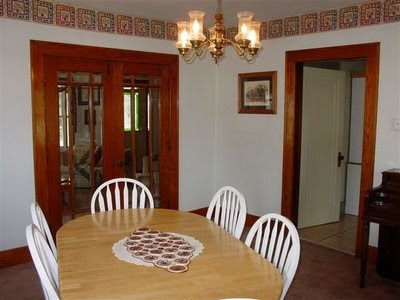 Our dining room with hardwood flooring, chandelier and lots of natural light. Student artist, Reza Dolatabadi, took two years to paint 6,000 individual works of art and then combined them for a five minute animated video. At any point in the movie, if you pause, you will be looking at one of the individual pieces. Impressive. Regular readers of Frankly Speaking will recall the struggles that I have had with the realization that my first-born is a year away from leaving the nest. You see, Abby is in her year of "one-mores." With each event, Tracy and I look at each other and wordlessly say, "Just one more." Just one more marching band exposition. Just one more season of halftime performances - capped off by Senior night. Just one more winter choir concert. One more spring break. One more . . . I mentioned this struggle in an email to my friend, Mike, recently. Mike and Kelly have raised a couple of amazing kids. Their son, Tyler, is completing his student teaching right now in anticipation of becoming a teacher. He is engaged to be married to a good Christian girl. 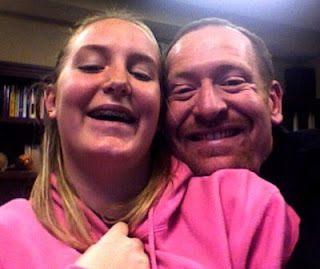 Mike and Kelly's daughter, Brittany, is a student at Cincinnati Bible College. They're both exceptional kids that have a bright future ahead of them, and a credit to their parents. Thanks for your kind words about our kids. I always thought once they graduated my job was pretty much finished, boy was I wrong. Tyler and Kellie Thorp are getting married this spring and Brittany is going to Florida for spring break. About the year of "last ones". Turns out it isn't as bad as it seems. I shed some tears after Tyler's last high jump and his last soccer game but I survived. It is sad that a part of our lives is ending but I came to realize that for new life to begin sometimes the old life must die. You will find eventually that for every "last" there is a "first" that is even better than you could have dreamed of. You will see the life that you helped create venture out into the world and succeed beyond anything you ever imagined. Then when they fail, and they will, they will return to you for comfort and advice and maybe a kick in the backside. Maybe you already know these things but I hope hearing it again from someone else who is on the journey just a little ahead of you is an encouragement. Hope you and Tracy are well. We are well, Mike. In fact, maybe we're even a little better because of your encouraging words. When Bob and Tom (yes, those are their real names) went ice fishing the other day they probably had no idea they would ignite a controversy within South Lansing Christian Church. The day began innocently enough. Inspired by South's Seek, Study, Serve vision the pair sought fish, studied fish, and even served fresh minnows in the hopes that they might become fishers of, well, fish. Spiritual as they are, Bob and Tom followed the early church's example of "having all things in common," That is to say, the pair pooled their resources - no doubt a sensible, stewardship-based approach to angling. Bob provided the equipment. The ice shanty, tip-up (fisherman speak for ice fishing pole) - all Bob's. For his part, Tom supplied the lake. A private body of water, Tom has long had permission to fish this secret honey-hole (a point he was careful to bring up in the ensuing controversy). 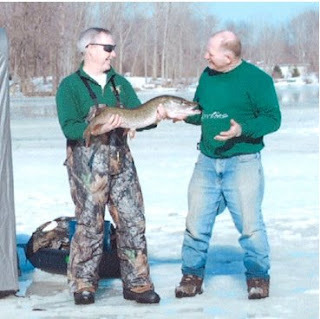 Bob drove the pair to the lake, but Tom bought the bait and selected the location for the hole, even drilling it through the thick February ice. Tom baited the hook and dropped the line into the frozen abyss and the two settled back to tell the lies that fishermen tell while waiting for the bait to be taken. Which it was. By a monster pike. Bob was the first to see the tip-up flag, or so he claims. For those of you that live in places where water is actually a liquid more than four months out of the year, when the bait is taken on an ice fishing pole, a spring loaded flag is tripped, alerting the fisherman that a fish is on the line. This serves a couple of purposes. First, it enables the fisherman to warm his hands by keeping them away from the pole, except when absolutely necessary. Gloves are preferable, but pockets will do. As will armpits. Your own, usually, although I have heard of husband/wife fishing partners that started out innocently trying to stay warm and ended up receiving frostbite treatment. But that is a story for another blog. Probably one that is blocked by your Internet filter. The second purpose of the tip-up is to enable the fisherman to drill multiple holes in the ice and drop lines in each. This increases the possibility that a fish moving beneath the ice might swim onto food strangely and mysteriously hanging from the sky waiting to be devoured as though it were a gift from Poseidon himself. Of course, there is always the danger that one's tip-ups will flag simultaneously, leading to the sportsman's version of the circus plate-spinner. One unfortunate angler, Dwight Snerdherder, upon seeing multiple flags surrounding his shanty, began scurrying from hole to hole until he became dizzy and passed out. They found him there hours later, alive, surrounded by fish, his Carharts frozen to the ice. Tom reached for the pole, set the hook (another distinction he was careful to make later) and began reeling in the line. Judging by the tug on the line, Tom knew that he had either hooked a "big 'un" as they say here in Michigan, or else the minnow that he was using for bait was sucked into the pond's open loop geo-thermal system. Turns out it was indeed a hoss. As he was winding line, Tom peered into the hole and, seeing the monster swim past exclaimed, "Its a hog, Bob!" Springing into action, Bob laid hold of the pole and began to assist Tom in landing the whopper. Was it an innocent desire to help his friend or something more sinister? Perhaps Bob wanted to lay claim to a portion of this 35 1/2 inch wallhanger? Long story short, they landed the lunker. Before the body was cold . . . er, um . . . I mean warm, the arguing began. "I spotted the flag first!" Unfortunately the controversy spilled over into Sunday morning. Within minutes of completing my sermon on grace and mercy and other minor doctrinal issues of faith, Bob approached me. "Hypothetical," he began. "Let's say you're fishing with a friend, and you own the one pole that you're sharing, and you catch a fish together. Who does the fish belong to?" For his part, Tom kept quiet, though not for long. Truth be told, we may never know to whom the fish belongs. The only ones that really know are Bob and Tom. And the fish. And he's not talking. I beg you, brothers and sisters, by the name of our Lord Jesus Christ that all of you agree with each other and not be split into groups. I beg that you be completely joined together by having the same kind of thinking and the same purpose. My brothers and sisters, some people from Chloe's family have told me quite plainly that there are quarrels among you. This is what I mean: One of you says, "I follow Paul"; another says, "I follow Apollos"; another says, "I follow Peter"; and another says, "I follow Christ." Christ has been divided up into different groups! Did Paul die on the cross for you? No! 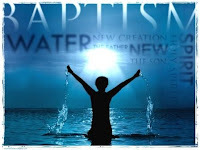 Were you baptized in the name of Paul? No! You get it. And, in case you're wondering, my good-natured friends Bob and Tom get it too. She spent two years at Lansing Community College, sharpening her social skills, until Pappy drew the line and made her get a job. She went to work in the State Treasury Department mail room and worked her way up the ladder until her skills exceeded her interest. Moving on to the State Highway Department, she found her niche as a drafting technician, but when all the rest areas, highways and parking lots began to look alike, she transferred to the Michigan Department of Natural Resources, where the tasks were more varied. She fit right into the Engineering Division Family, and though she retired from the DNR in 2002, she stayed in touch and, of course, never missed a Division party. They aren't even holding a funeral for Susan. Her last wish was simply that her friends get together and have a party. What a way to be remembered. I've just confirmed my assignment for our upcoming Haiti mission trip. I will be teaching Church Leadership to preachers and elders in the Bible College at St. Louis du Nord. I will lead a sixteen hour seminar, spread out over four days, in which we will cover the basic structure and function of the New Testament church's leadership. I am tasked to cover such elements as the founding of the church, the early church's structure, the choosing of the first seven deacons, and the Jerusalem council among other topics. Four days to cover the book of Acts and the passages from the pastoral epistles that pertain to leadership?! Impossible, really. I know that several preachers and church leaders read Frankly Speaking, so my question to you is: given only four days to teach, what do you think are the essential components of church leadership on which I should focus? Oh . . . and if you're moved to give, we need 50 spiral notebooks and about $200 to feed the college students for a week while I am there. Drop me a note if you can help, and leave your course curriculum suggestions in the comments section.